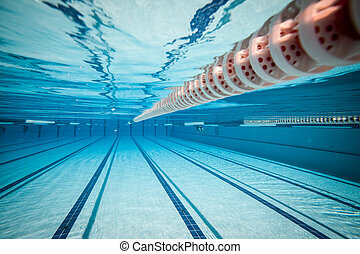 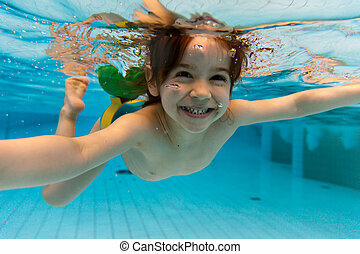 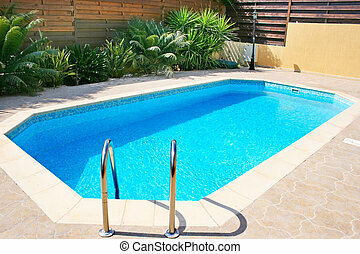 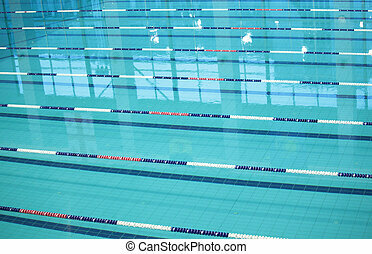 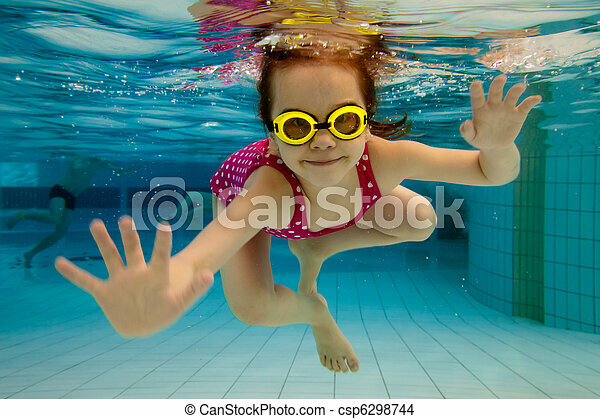 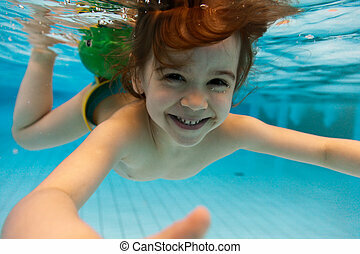 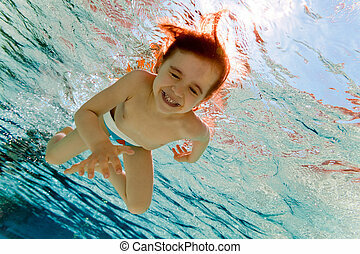 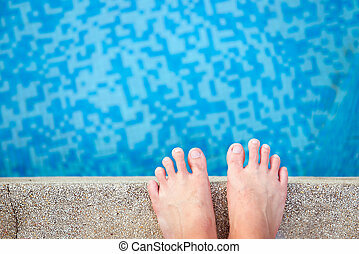 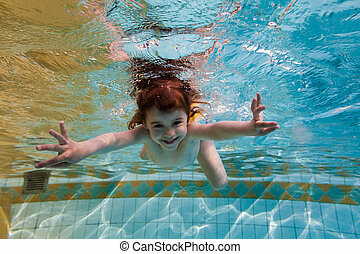 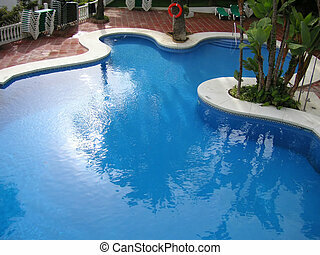 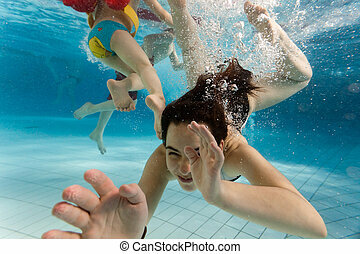 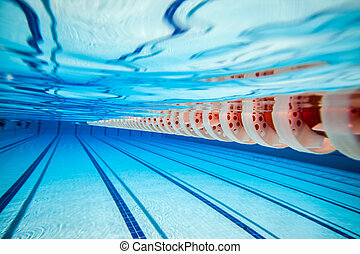 The girl smiles, swimming under water in the pool. 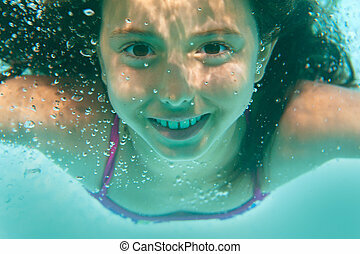 The little girl in the water park swimming underwater and smiling. 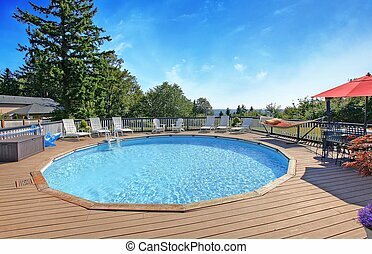 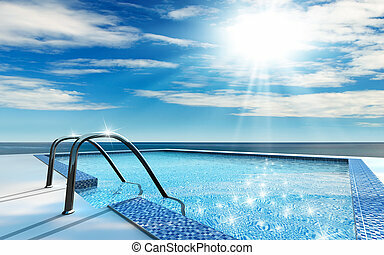 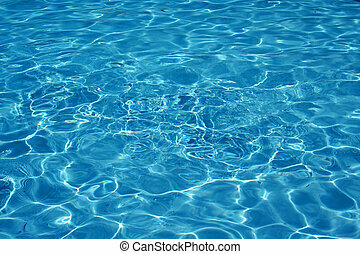 Swimming pool blue transparent water. 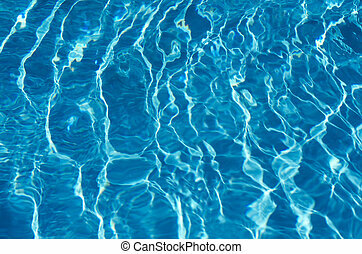 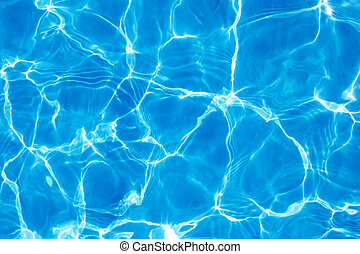 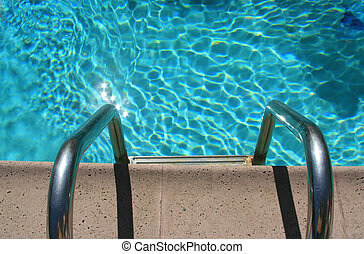 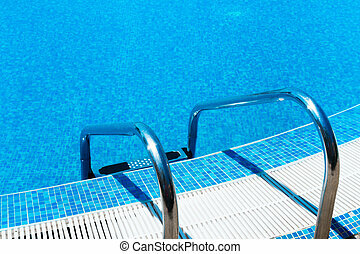 Abstract blue water in a swimming pool background Texture. 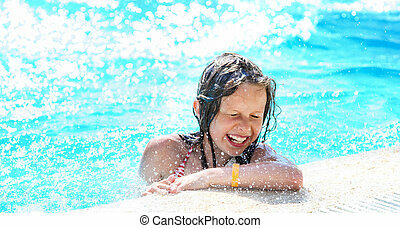 Little happy girl enjoys summer day at the swimming pool.